Granite Shoreline Steps with Wheel Ramps at Work!! 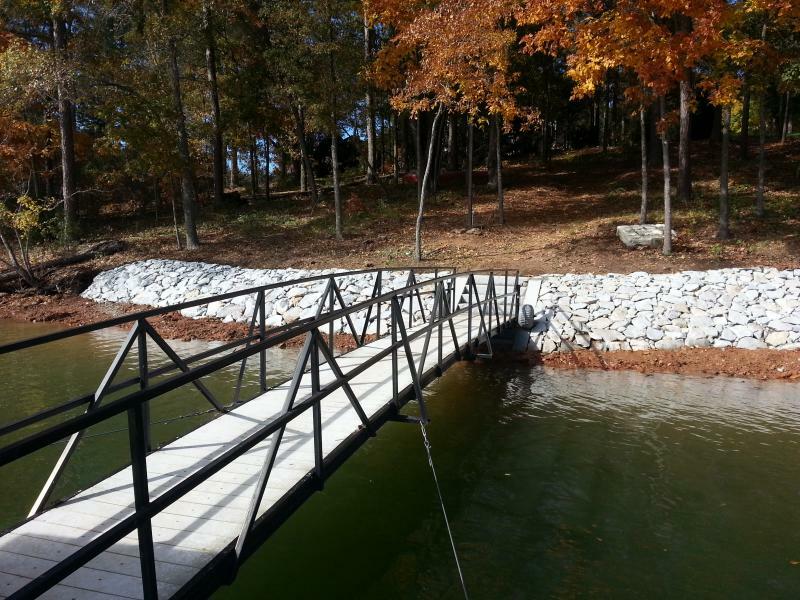 Multiple Shoreline Step Styles to choose from to install into rock. Shape Bank to obtain proper Slope and Stability. Shoreline Shaping (area used to access bank only) upon completion of project. Install Non Woven Geotextile Fabric to prevent further Bank Erosion. Footer dug for base of Rock to maintain stability. Dry River Beds installed with your choice of stone.